Please check our Resources link (the red balloon) for suggested Home Experiences (simple homework exercises) for 50 stories, and for charts, diplomas, and other resources classroom teachers might find helpful. You have too much to do, too little time and very little, if any, of that is free or discretionary time. This site can extend the school day for you, can help your students do valuable work outside of class if you can find ways to encourage the children to regularly watch and listen, and if you can encourage parents sit beside them to talk and ask questions and to praise the children for reciting rhymes and retelling stories. In your classroom you might find a place for a chart on which each child earns a check or smiley face for speaking a rhyme or telling a story. You might let children take turns saying lines of a rhyme, or share turns telling parts of a story. You might show a picture and ask the children if it makes someone think of a rhyme, or show two or three pictures and ask them which picture best fits which rhyme. Every teacher knows that research is virtually unanimous in finding that the earliest literacy training is the most crucial, in stressing the vital importance of children hearing stories read aloud in the home, in emphasizing how children suffer when we fail to surround them with a rich and stimulating verbal environment, in the fundamental importance of nurturing in children a desire to read. You and other teachers work tirelessly to promote literacy in a student population too often handicapped by poverty, by a lack of educational resources, by low educational levels among parents, by a preponderance of single-family homes in which over-worked parents too seldom have the opportunity—or sometimes skills—to properly nourish their children’s education. In an environment where teachers are doing all they can or know how to do, it’s pointless to ask you to work harder. We can, however, help you help your students learn more efficiently by providing you and them with this site. Many of your students have access to too few books in the home and seldom visit a local library. 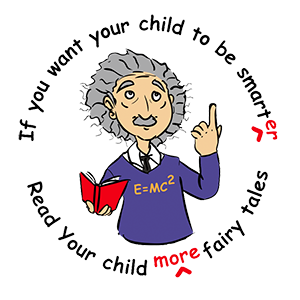 Now students with access to a parent’s or sibling’s cell phone or digital notebook or some other way to go online will possess a wonderful library of classic rhymes and stories which the child can hear read aloud whenever you assign rhymes or stories as homework—or whenever the child desires. Generations of children have taught adults which stories and rhymes they prefer, and for hundreds of years—until the past few decades—teachers have built on the diverse literacy skills (phonological awareness, vocabulary, comprehension, etc.) children develop through repeated experiences with nursery rhymes, fables, folktales, and fairy tales. In the past half century the rise of sensually stimulating, image-oriented media has paralleled a decline in opportunities for children to hear, memorize, or read the sorts of verbally rich texts which our culture had evolved to help children learn what they most needed, most wanted, and most enjoyed learning. It’s no surprise to anyone that declining reading scores have paralleled children’s declining experience with those texts. Scientific research clearly identifies specific skills and strategies young children must master before they can learn to read. At the most basic level the National Reading Panel (2002), for example, noted and defined five essential early literacy skills (phonological awareness, phonics, fluency, vocabulary, and comprehension). Though we don’t need to outline for you nursery rhymes’ potential for empowering children in each of the five areas, this site will help you to specifically address each of these through nursery rhymes. (You certainly don’t need to be told, for example, that you can teach phonemic awareness and phonics by playing rhymes from the site in your classroom and pointing to individual letters or targeting phonemes, syllables, or words.) Stories complement the rhymes on the site and depend on students gradually building more sophisticated skills. The shorter stories, many of these African fables retold by Aesop, run about two minutes, tend to contain fewer words per sentence (16-18), and depend on less sophisticated grammatical structures; the longest stories, ranging up to twenty-two minutes, contain more words per sentence (24-29), and more challenging vocabulary and grammatical patterns. You’re already familiar with the conclusions of research like that sampled below, but just for the record, educational research has repeatedly and consistently demonstrated how important it is for children, pre-readers or developing readers, to hear stories and rhymes. “The single most important activity for building the knowledge required for eventual success in reading is reading aloud to children" (Anderson, R.C., Hiebert, E. H., Scott, J. A. & Wilkinson, I. A. G.  On Becoming a Nation of Readers: The Report of the Commission on Reading). Reading storybooks aloud helps teach children meanings of unfamiliar words (Robbins, C. and Ehri, L. , “Reading Storybooks to Kindergartners Helps Them Learn New Vocabulary Words," Journal of Educational Psychology, 86 , 54-64). Younger children significantly improved new expressive vocabulary from a single oral reading of a book (Senechal, M. and Cornell, E.H. , “Vocabulary Acquisition Through Shared Reading Experiences," Reading Research Quarterly, 28 , 360-74). “Students become more fluent readers when provided with models of fluent reading" (Armbruster, B.B., Lehr, F., and Osborne, J. H.  “The Research Building Blocks for Teaching Children to Read," Developed by the Center for the Improvement of Early Reading Achievement: National Institute for Literacy, National Institute for Child Health and Human Development, and U.S. Department of Education). Among findings published in The National Reading Panel Report (2000): the kind of effective vocabulary instruction supported by research emphasizes multimedia aspects of learning, richness of context in which words are to be learned, and the number of exposures to words that learners receive. Kristen Denton and Garry West (2002) report that children read to at least three times a week were almost twice as likely to score in the top 25% in reading than children read to fewer than three times a week; young children read to three times weekly entered school significantly more able to identify the letter-sound relationship at the beginning of words and at the end of words than children read to fewer than three times weekly; nearly twice as many children who had been read to three times weekly had sign-word recognition skills compared to children read to fewer than three times weekly; more than twice as many children read to three times weekly could understand words in context compared to those read to fewer than three times weekly (Children’s Reading and Mathematics Achievement in Kindergarten and First Grade, U. S. Dept. of Education, NCES, Wash., DC). For decades educational research has repeatedly demonstrated how fundamentally important it is for children to hear texts read aloud. Nevertheless, unfortunate children whose environments provide the least experience of sophisticated verbalization tend to have parents or caregivers who rarely read to them. With your help and encouragement, this site will empower these children, will allow them to decide when to hear verbally rich stories and nursery rhymes, and how long to keep listening.